It’s Thursday again which means it’s time to walk down memory lane once more. Today we re-visit Emily Sue as a puppy. With all the recent attention given to the precious puppy Lily, it’s only fair to give Emily a little. These pictures are from our first week with Emily (back in January 2012), and I must admit that I think they’re just priceless. Share your throwback Thursday photos with us on our DOGS Facebook page. Love to see yours. She’s beautiful, and your photos are amazing, as always! Emily is so precious!! Love the pictures!! 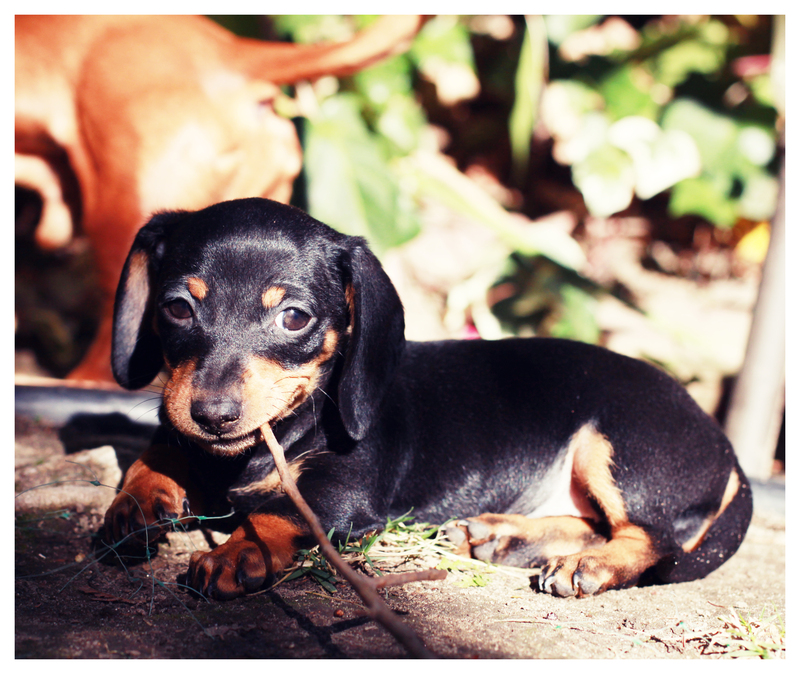 Despite the fact that I will likely never get a doxie puppy ( since I will always rescue) I have to admit they are the cutest things on the planet!!! Sooooooo cute!!! So cute. Love all your doxie pictures. They are priceless. Emily is so cute. She had those little chubby paws. 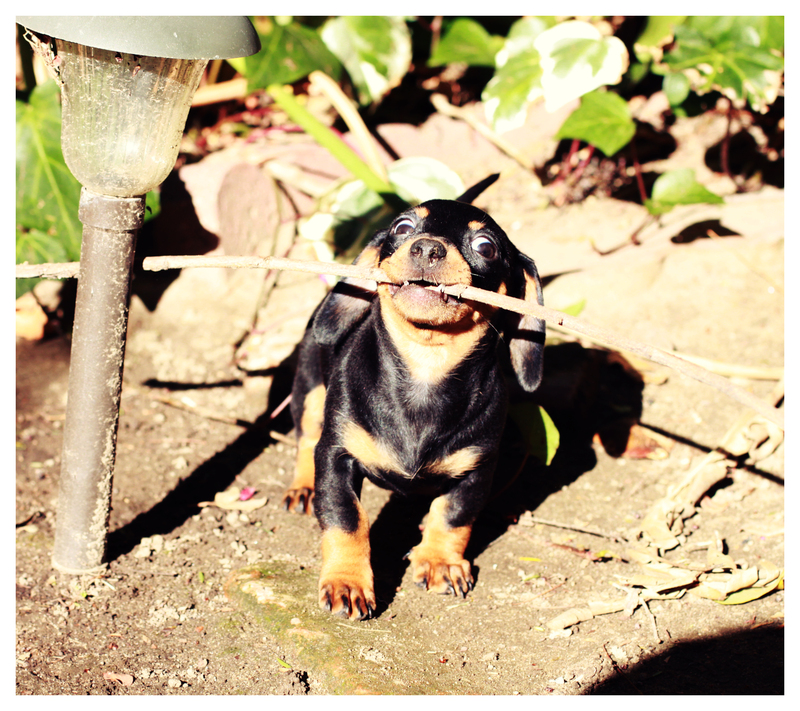 Sticks….what is it with Doxies and sticks? Minis always keep that puppy look about them no matter how old they get. Emily has that Valley Girl thang going on! What a blessing she must be.